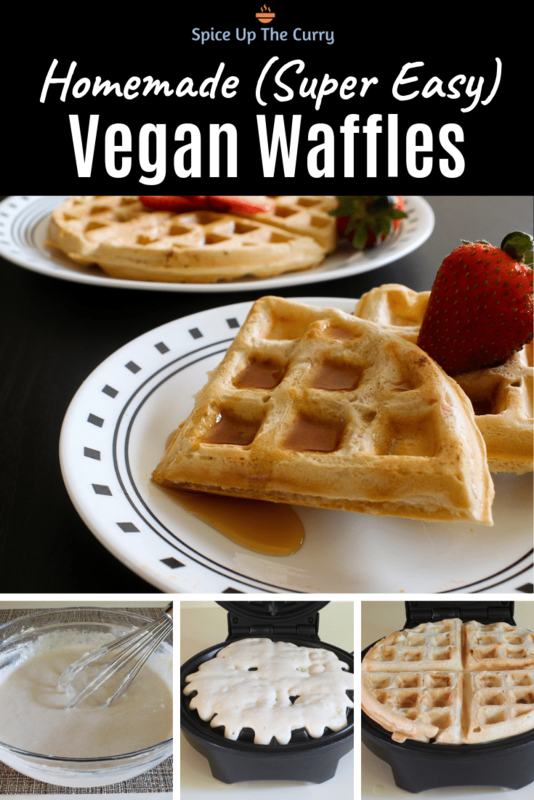 Eggless waffle recipe or Vegan waffles – very easy to make. 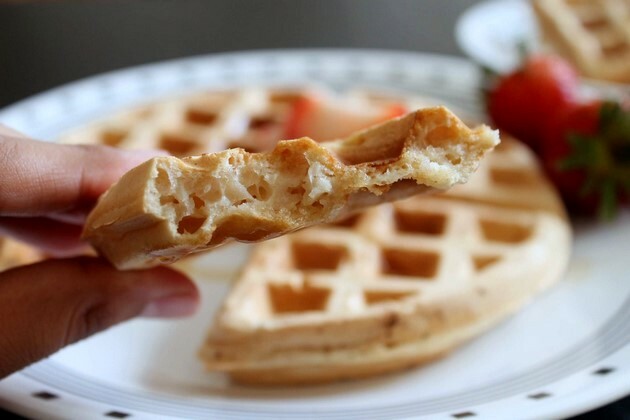 The basic waffle recipe, you can flavor it up or top it up as you like. I have eaten waffles with eggs too. So I can say after eating this waffles. You will not realize that it is eggless or vegan. There is only one difference and that is cooking time. Keep in mind that any eggless or vegan waffles take little extra time to cook. So always cook few minutes longer than mentioned in waffle iron manual. So finally I am here with eggless waffle recipe. It is requested by one of my readers few weeks back. I know I am little late. But I come up with the best vegan waffle recipe. I made these delicious egg-free waffles yesterday, took some pics. Today I am sharing with you guys. I am making waffles using this recipe since last 4 years (or I can say before I started blogging). When I was in India I have never eaten or heard about waffles. After coming to USA, First time I tasted waffle in our local restaurant. That was loaded with calories. Seriously so much whipped cream on top. Oh that was not breakfast, it was kind of dessert. Dear husband does not eat eggs. So I have come up with this recipe after so many trials and errors. Now he can also enjoy waffles. I like my waffles little on crispier side. This recipe gives your nice crispy waffles from outside. It is light, airy and spongy from inside. I don’t need to explain, you can see here. 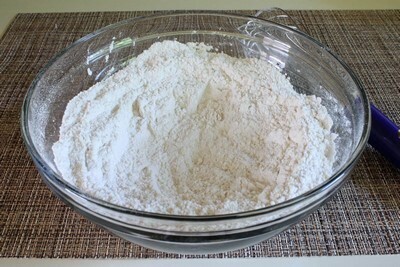 1) Take dry ingredients (all purpose flour, whole wheat flour, sugar, salt and baking powder) in a bowl. Mix it well using whisk or just shift it. 2) Make a well in the middle. add water, oil and vanilla extract. 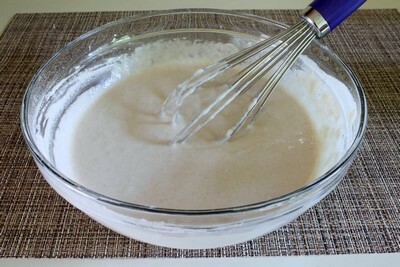 3) Mix it using wire whisk till incorporated. Make sure there are no lumps in the batter. 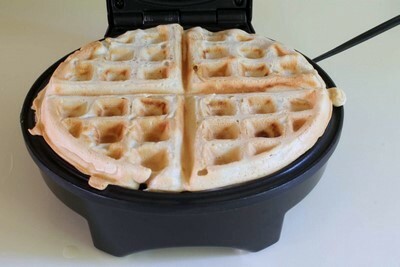 4) While you are making batter, preheat the waffle iron. 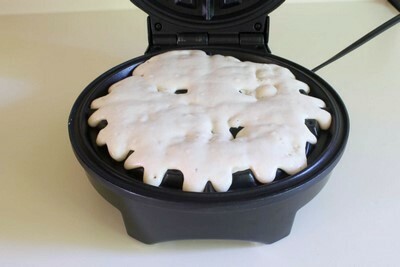 5) Pour the batter in the pre-heated waffle iron. Read your waffle maker’s manual and pour required batter as directed. If your waffle maker needs then grease it with cooking oil spray before pouring the batter. Mine did not require. 6) Cook it as per your waffle maker’s direction + few more minutes. Why? 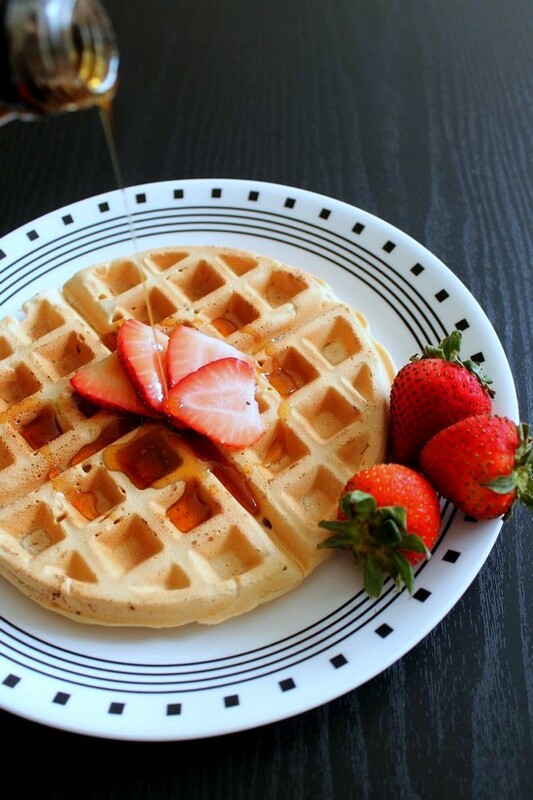 Always keep in mind that, waffles made without eggs takes more time to cook then one with eggs. For example, my waffle maker takes 5 minutes for normal waffle. So I usually cook any eggless or vegan waffles for 7 minutes. Eggless waffles always need some more time to crisp up. If you have a sweet tooth for breakfast and this is for you. But I am sure your kids will love this yummy waffles. Serving suggestions: Serve this waffles as a breakfast. Or have it as a dessert with dollop of whipped cream. See the topping options below in the notes section. why don’t you tell me your fav in comments ?? There are so many ways that you can top your waffles. You can use butter, honey or maple syrup, whipped cream. Even you can top it with any chopped fruit. My favorite topping is strawberries or blueberries with maple syrup. And dear husband’s favorite is sliced banana with honey. Honey is not vegan. So if you are vegan, please do not top it with honey. I have used whole wheat chapati atta. Because I have it in my pantry all the time. But you can use whole wheat flour. You can replace it with all purpose flour. I have used canola oil. You can use any flavorless oil like vegetable, corn or safflower oil. The water should be at room temperature. Not hot or not cold. 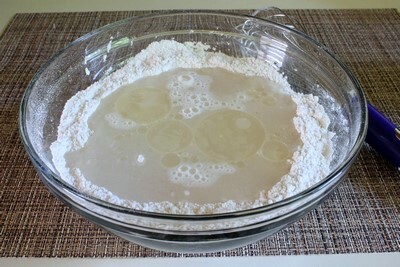 Take dry ingredients (all purpose flour, whole wheat flour, sugar, salt and baking powder) in a bowl. Mix it well using whisk or just shift it. Make a well in the middle. add water, oil and vanilla extract. Mix it using wire whisk till incorporated. Make sure there are no lumps in the batter. While you are making batter, preheat the waffle iron. Pour the batter in the pre-heated waffle iron. Read your waffle maker’s manual and pour required batter as directed. If your waffle maker needs then grease it with cooking oil spray before pouring the batter. Mine did not require. Cook it as per your waffle maker’s direction + few more minutes. Why? 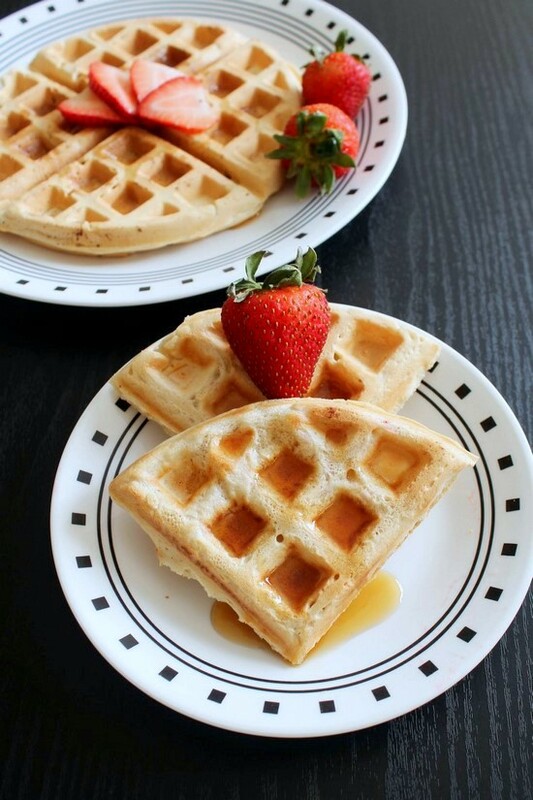 Always keep in mind that, waffles made without eggs takes more time to cook then one with eggs. For example, my waffle maker takes 5 minutes for normal waffle. So I usually cook any eggless or vegan waffles for 7 minutes. Eggless waffles always need some more time to crisp up. Turned out perfect! I’ll be having company for the holidays and these will be my go to waffles!